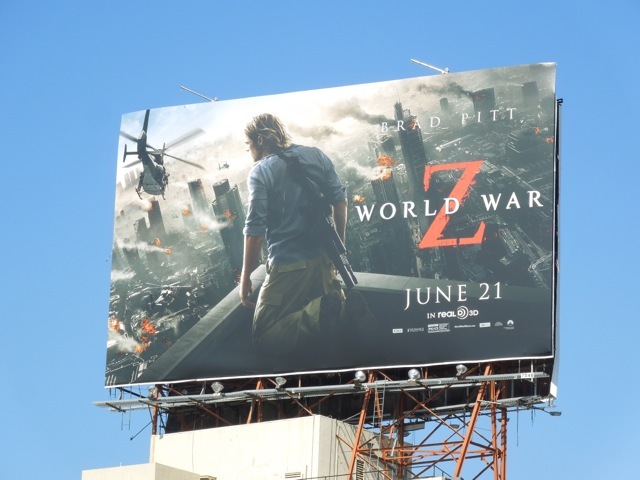 There's been a lot of noise made about the titanic struggle to get World War Z to the big screen, so let's hope the wait has been worth all the fuss. 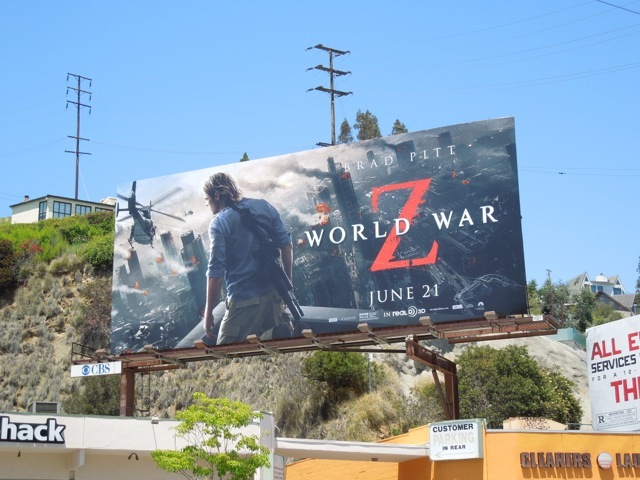 These billboards for the movie certainly hint at the zombie pandemic spreading across the globe and the zombie horde reaching up like an army of ants to the helicopter is an especially compelling visual. 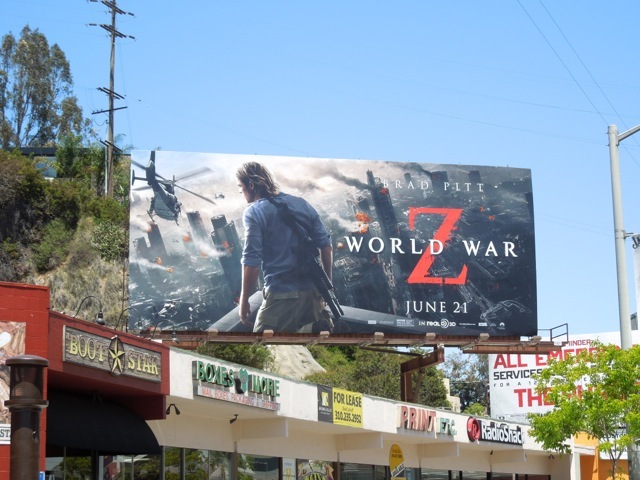 The movie is adapted from Max Brooks novel of the same name and stars Brad Pitt as a United Nations worker racing against time around the world to stop the zombie apocalypse and save his family and humanity itself. 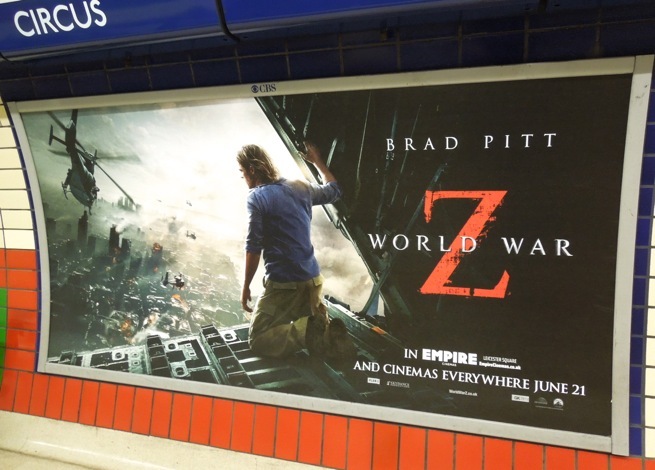 It's interesting to see that in the U.S. creatives featuring Brad Pitt he's cast as more of an action hero with a gun slung over his shoulder, whilst in the U.K. publicity posters he's simply staring out weaponless from an aircraft bay doors. 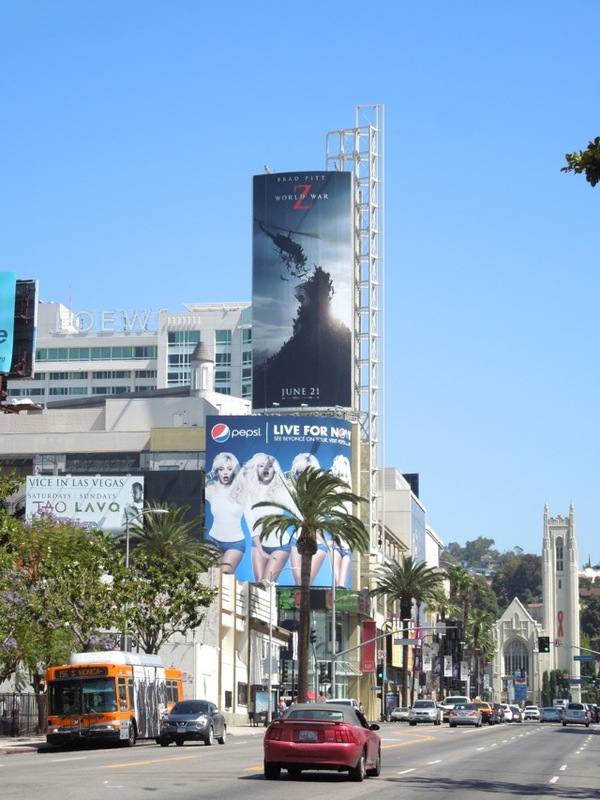 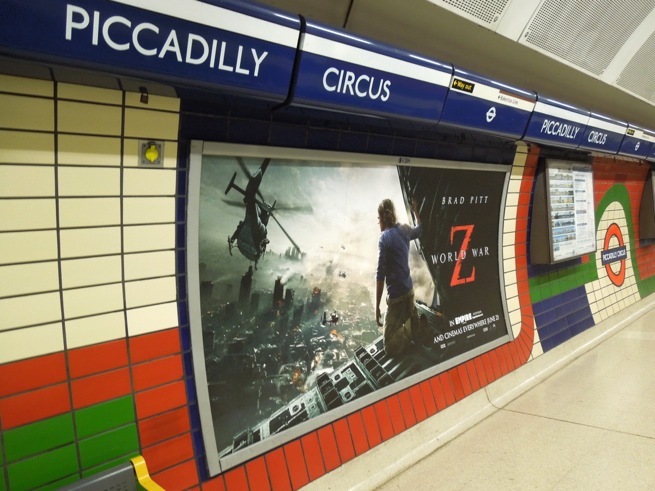 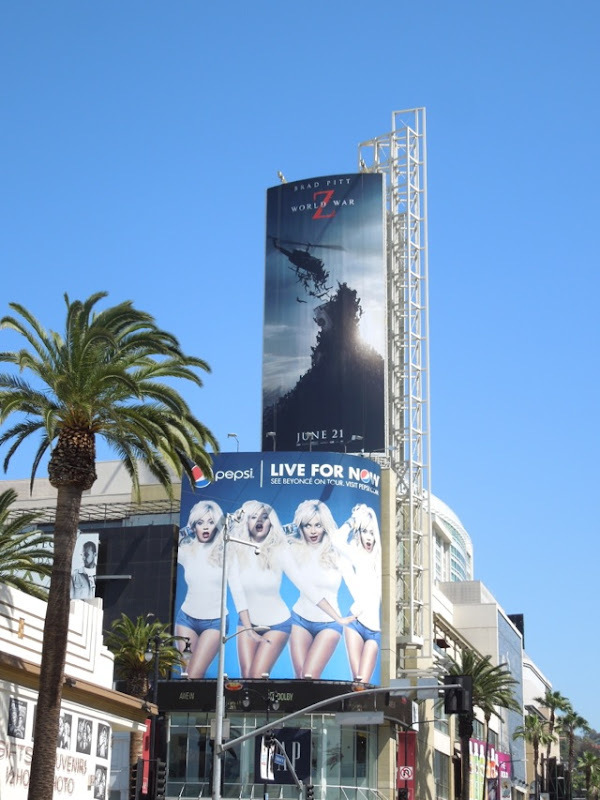 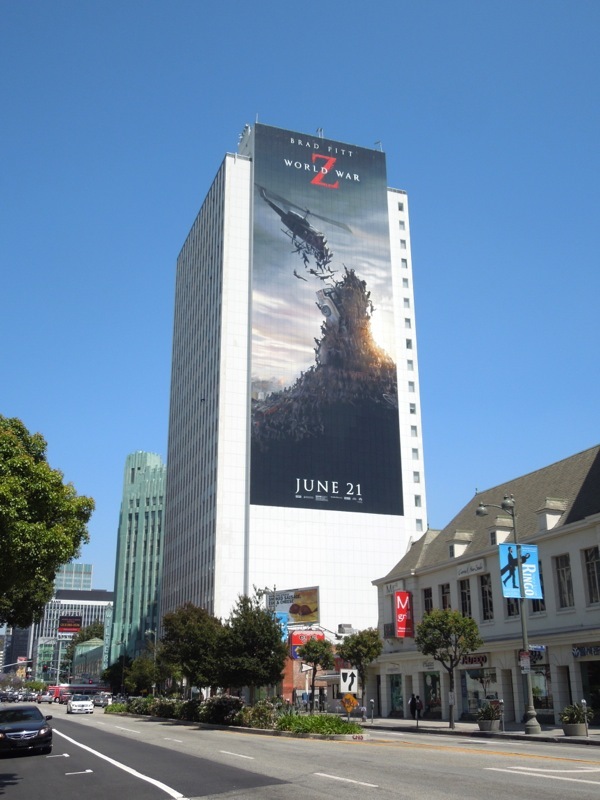 These billboards for the apocalyptic horror movie were spied along Sunset Boulevard, Wilshire Boulevard and at Hollywood & Highland in L.A. on May 29, whilst the London Underground poster was spotted at Piccadilly Circus station on May 25, 2013. 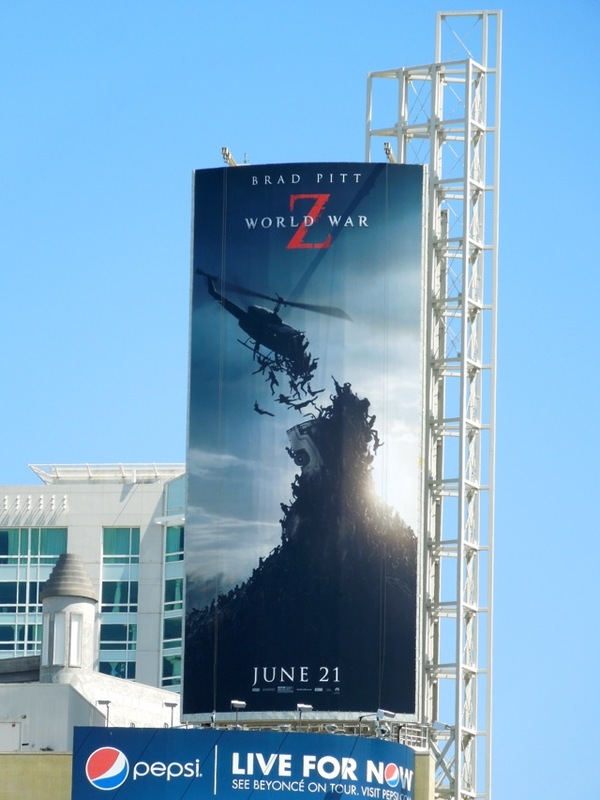 In footage from the movie the zombies are seen to move at super fast speeds, so let's see if audiences rush to see World War Z with the same rabid enthusiasm. 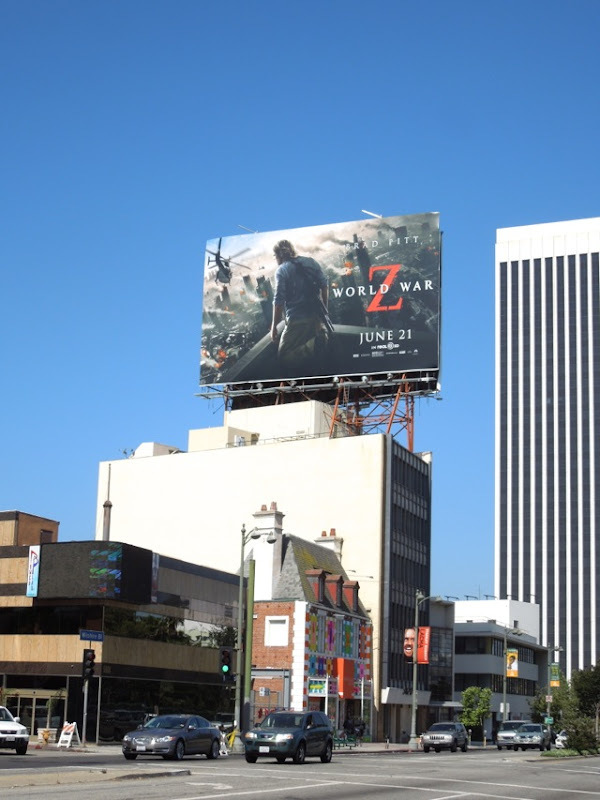 UPDATED: Just when you thought you've seen a lot of great billboard creatives, along comes another one, especially when it's on a giant scale which makes you just want to gush about it. 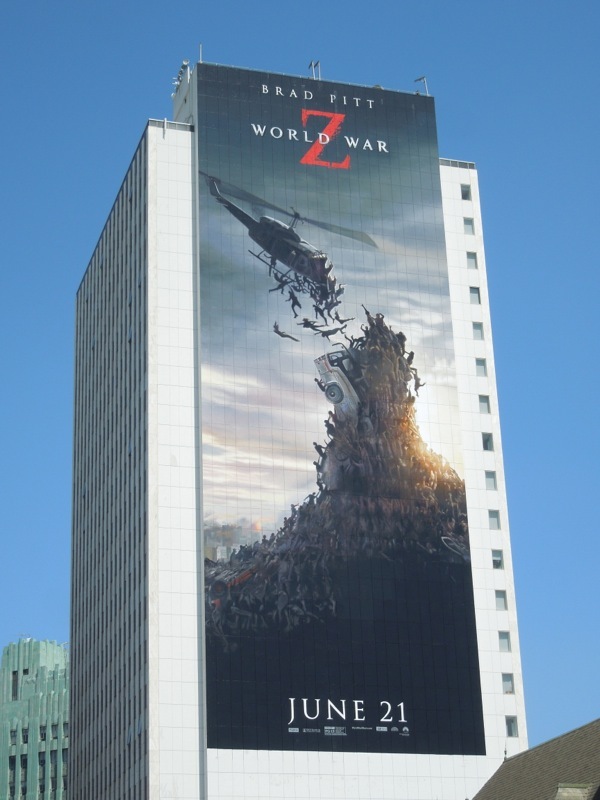 This spectacular super-sized version of the helicopter creative for World War Z was spied magnificently towering over L.A.'s Wilshire Boulevard on June 3, 2013. If this visual doesn't make you want to go see the film, then your inner nerd must be dead inside.